← Bite-sized ice cream oatmeal sandwiches & Walkers Shortbread giveaway! I’m super excited to share with you today’s Secret Recipe Club post! Whenever I find a recipe that’s easy to make for dinner and is also a hit with my girls….I’m sold! And you will be too. This month I was assigned The Avid Appetite. What a gem! I’ll be a reader from now on. Rachel blogs from her New Jersey apartment, and likes to explore nearby New York City with her husband Shaun. You know me…I love New York, so that was a hook for me. A cute couple and new parents, they share a zest for life and an enthusiasm for travel and trying diverse foods. 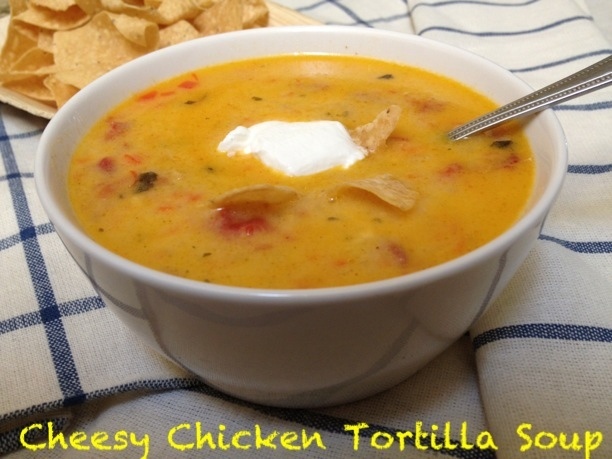 Today’s Cheesy Chicken Tortilla Soup is easy….did I mention it’s EASY? My whole family loved it! I loved how cheesy it was, and that her recipe uses REAL cheese! I loved it with medium cheddar, but it’s adaptable to any type of cheese you want….monterey jack, pepper jack, colby jack…you name it! Hope you’ll stop by and check out Rachel’s blog. And definitely try this soup…you won’t regret it! In the bottom of a large pot, heat oil over medium heat and add peppers and onions. Saute until soft. Whisk in the flour until combined. Cook for about a minute being careful not to let it burn. Whisk in the chicken broth and milk and bring to a light boil. Simmer for 5 minutes. Once simmering, lower the heat and stir in the cheese. Stir until melted completely. Add in chili powder, salt and pepper. Add in the chopped, cooked chicken (I made mine in the convection toaster oven) and Mexican Rotel (use regular rotel or diced tomato if you don't want it spicy). Serve in bowls and top with sour cream and crushed tortilla chips. Easy, cheesy, yummy?!?! My favorite things! That is one of my favorite soups soups and I love your take on it. I’ll try it once fall hits. My family will love this! Even though it is close to 85 degrees in the Bay Area, oh how I would love a bowl of this delicious soup right now. Glad to be part of SRC group C with you! Yum! I love when you make soups like this and get to load it up with lots and lots of toppings. Ooh – this looks so tasty, filling and an easy dinner recipe! 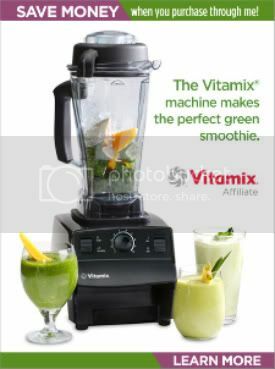 Has anyone tried freezing this after making it? I need to do soups for freezing.